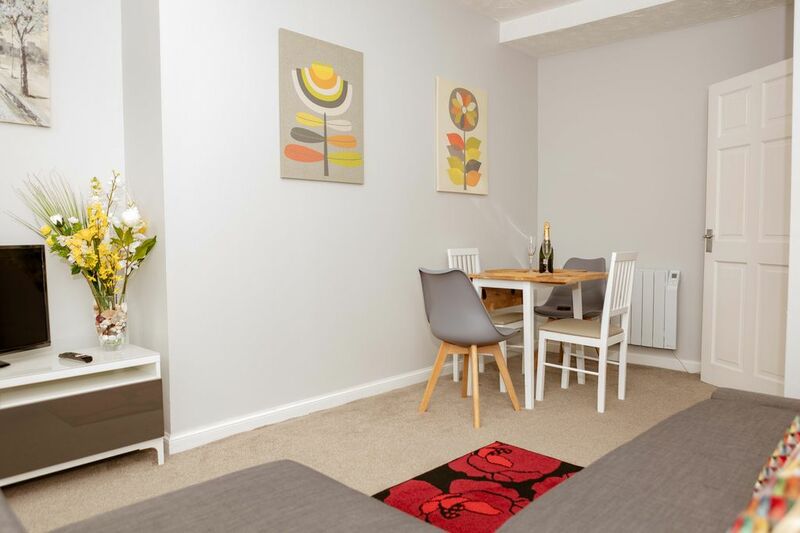 Located on the FIRST FLOOR of an apartment block, Stirling Central Apartment is conveniently situated within the thriving City Centre of Stirling, just a few minutes walk from the Train Station. One of Scotland s largest and most important Castles can be found only 5 minutes away! Stirling has a vast amount of attractions for guests and from this central location you will have easy access to enjoy all of what s on offer. Our Apartment welcomes you with bright and airy rooms and Home from Home comforts. Comfortable Lounge with soundproof windows, Flat Screen Smart TV and FREE WI-FI. Ample sofa space converting to good sized SOFA BED SLEEPING 2. If you want a break from dining out at the multitude of options on your doorstop, the Lounge is equipped with DINING AREA for convenience. Our fully equipped kitchen is fitted with Washing Machine, Dishwasher, Microwave and all other appliances and items to help make your stay as comfortable as possible. The private Double Bedroom, with Double Bed SLEEPING 2, is situated to the front of the accommodation and also benefits from soundproof windows to ensure a peaceful sleep. Pillow Partners are a Property Management Company offering a unique service for owners and guests. Our personal Property Managers are guests and owners' sole point of contact. We operate an emergency guest line so that we can be contacted at any time should there be the need. Stirling Central Apartment is in an excellent location allowing ease of exploring all the City has to offer. Stirling Castle is within minutes from our lovely Apartment.